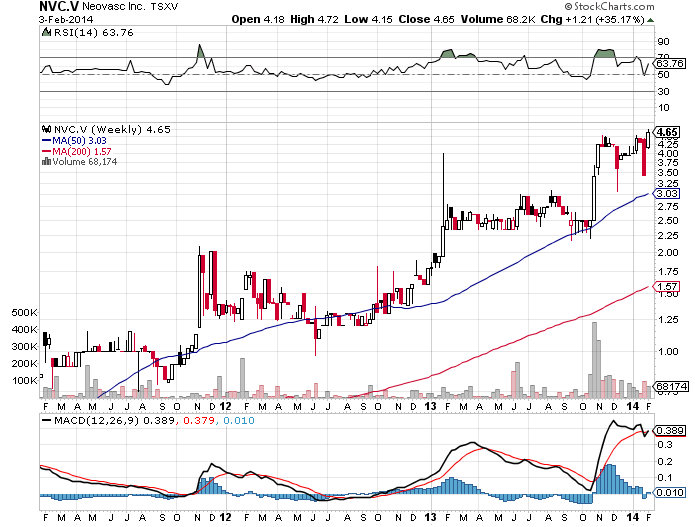 Canadian based medical device company Neovasc Inc (NVCIF) is an undiscovered gem, a true diamond in the rough (Cliché? Yes. But true? Yes!). After covering this promising company in two previous articles last fall, shares have nearly doubled, and the company's future prospects continue to shine even brighter thanks to the successful implantation of Neovasc's novel Tiara device in a human being, and a lengthy bullish analyst report released last week from Euro Pacific Canada. Although it may be difficult to stomach purchasing a volatile stock that recently jumped almost 40% in one trading session, the fundamentals behind this company are too strong to ignore, and a quick glance at Neovasc's operations help explain why this company is still severely undervalued, trading at a current valuation of $240 million. Here's why I have continued to buy shares of Neovasc (as recently as yesterday). Neovasc specializes in developing medical devices for the cardiovascular market. The company operates three divisions, and all of them have a strong future outlook, and will generate significant value for all shareholders. Here are some quick facts highlighting the company. Neovasc has received investments from both Dr. Phillip Frost and his company, Opko Health (OPK). Insiders own more than 75% of the 57 million shares outstanding (fully diluted basis). 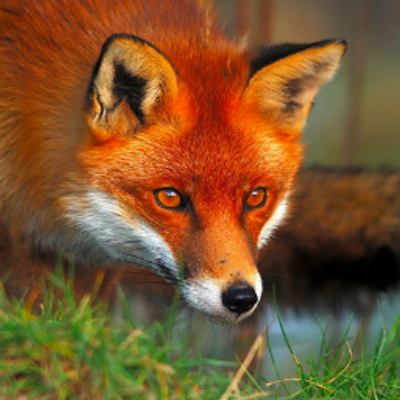 Company operates one profitable division that achieves gross margins of 40%+. Division develops bovine tissue to be utilized in human implantation of cardiovascular medical devices (aortic heart valves, stents). The division has experienced dramatic growth, and will continue to do so as the cardiovascular device market balloons higher. The profits derived from this operation are used towards developing two novel cardiovascular devices that serve an un-met market, the Reducer and the Tiara. The Tiara is a catheter-based device that treats mitral heart valve disease, or mitral regurgitation ((MR)). This is a life threatening disease, and surgery is currently the only viable treatment, and is not possible for a large population of patients due to the strenuous operation. MR valves have lagged behind aortic heart valves due to the complex anatomy of the mitral heart valve. Neovasc has received key patents that protect its proprietary technology. This technology allows the Tiara to be implanted in a minimally invasive procedure in a short period of time. The company has had successful trials implanting the device in porcine, live sheep, and now a human. The mitral heart valve market is in its infancy, and would represent a multi-billion dollar market. Shares of Neovasc rocketed 35% higher Monday morning after news was released stating that physicians at the St. Paul's Hospital in Vancouver, BC successfully implanted the Tiara in a 73-year-old male patient. The PR is so exciting it is not even worth trying to regurgitate it for you. Here are the highlights below. The transapical procedure resulted in the elimination of mitral regurgitation and significantly improved heart function in the patient, without the need for cardiac bypass support and with no procedural complications. The Tiara has a long way to go before it becomes a commercialized device ready for sales, but the promising results from the first procedure bode well for MR patients, Neovasc, and its shareholders. On January 28th, a 54-page analyst report, authored by Douglas W. Loe, PhD MBA and Associate Siew Ching Yeo of Euro Pacific Canada, was released detailing the ins and outs of Neovasc. The extensive report set a buy rating on Neovasc with a 12-month price target of $8.00. The report was released on the company's website, and can be found here. Anyone with time, or any prospective investors should read through the report, as it goes into detail the science behind the devices, and the promise behind them. I have provided some snippets below. While the above table lays out the long term potential for Neovasc and the number of positive catalysts that should boost the share price, the below paragraph sums up why Neovasc is a potential takeover target for big name healthcare companies, and how much value they could fetch for some of their products, or rights to their products. I could go on forever, so I will stop there. I strongly urge anyone interested in the company to read the full report. Despite Neovasc's bursting potential, the small cap company seems to have gone unnoticed by the market. This is a thinly traded company that is extremely volatile, and subject to 20%+ swings in a trading session. High volume for this stock is approximately 70,000 shares, and some day's only 3,000 shares trade hands. Normally the bid and ask is spread by nearly a dime or more, so expect to book a small loss as soon as you purchase (or sell) this security. This stock has received minimal attention from most of the market because it's listed on the Toronto Venture Exchange, and its US listing is traded over the counter. I believe this is an opportunity any investor can capitalize on as long as you hold out for any completion of the milestones listed above, or an acquisition/licensing deal with the company. I view this as a long-term investment, but with so many upcoming catalysts, two life changing devices, and a growing cardiovascular market, I believe shares of Neovasc will reward current investors before the end of 2014. Neovasc will report earnings in mid-February, so investors who do not have an appetite for risk may want to hold off until the upcoming numbers are released. Capital expenditures relating to the testing of the Tiara may have increased, but the core businesses' strong growth and gross margins should continue to impact Neovasc's financial health in a positive way. The company's profitable tissue division prevents the company from having to dilute shareholders and issue shares. The company has not conducted an offering since 2011. Investors must always consider the risks associated with the failure to gain approval for a medical device. Neovasc offers a compelling risk/reward profile for any investor who can "set it and forget it." Neovasc has so many different routes to take with its three compelling business divisions that there is no telling which way, or when the company will go. The recent analyst report and positive Tiara implantation back up my bullish thesis behind this promising small cap medical device company, and I view any pull back as a buying opportunity. 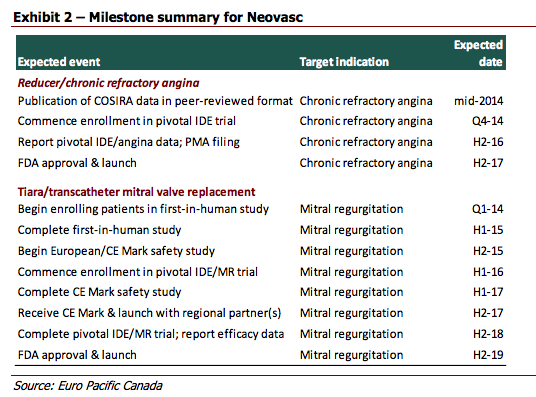 No Comment to " Neovasc Part III: An Undiscovered Gem In The Medical Device Industry "